I don't know what it is about men in masks I find so irresistible. Is it that they frame the eyes, the windows to the soul, so well, or that they tempt me with longing to reach out, and discover the delights of the flesh beneath it. 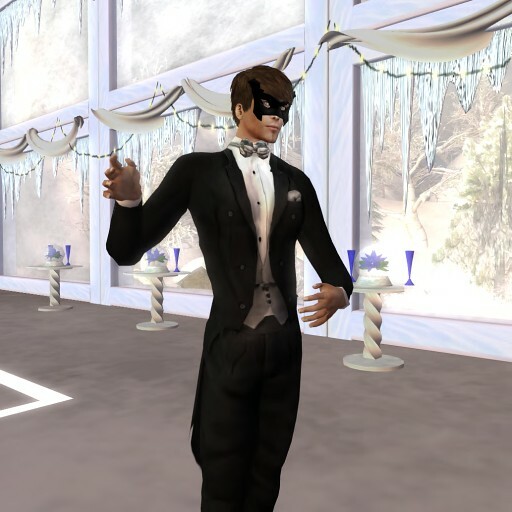 Whatever it is, it has me longing, luring me, breath catching, heart racing.... eagerly awaiting the Winter Masquerade at Equinox tonight (7PM InWorldz Time). Will you be there? How will I know it's you... beneath... the Mask. A few great finds for the guys today. 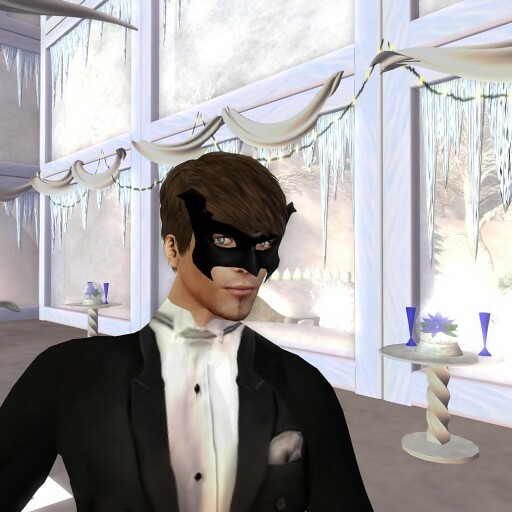 The Silver Tie and Tails Tuxedo by SF Designs on the Isle of Darkmoon. The Mysterious sculpted black Illusions Mask by Jeri Rahja of Designs by Rahja, and Emilio formal shoes by SF Designs. 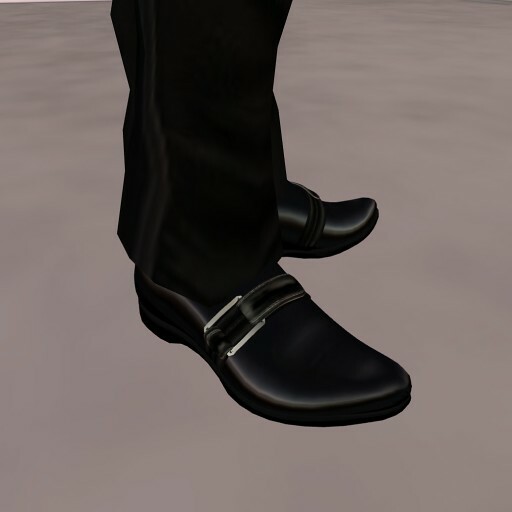 All styles, landmarks, and stores found in the virtual world of InWorldz.